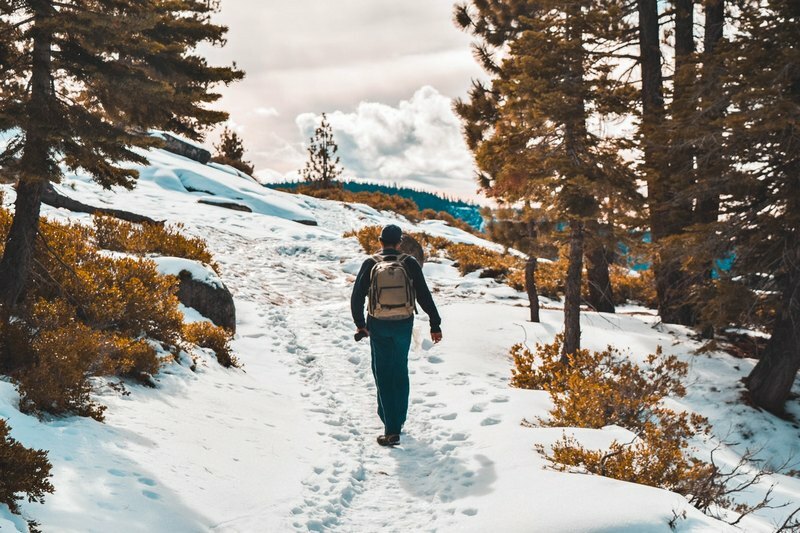 As the main hiking and biking season is coming closer and closer we’ve been working hard on some improvements in Locus so you can enjoy it even better. The greatest feat we’ve made in this new version is a major improvement of handling GPS data sent to Locus by your mobile device and also behavior of Android operation system towards Locus running in the background. Especially one particular issue worried us and many of our users – modern Android systems are still more and more aggressive regarding battery optimization. This resulted in killing Locus process or the GPS unit when running in the background and interrupted track recording or navigation. Each device has its own way how to exclude Locus from this optimization but in many cases no measure, no procedure was enough to prevent Locus from being killed by the system. 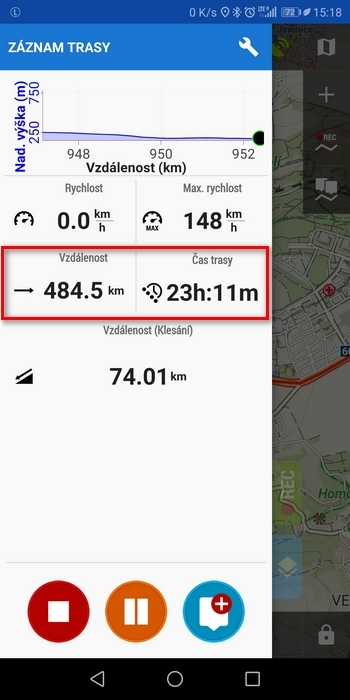 Fortunately, we’ve finally found a way how to maintain Locus smooth running in background and here’s the result of the latest user testing on a Huawei phone (one of the most aggressive ones) – no killing Locus or track recording of 23 hours! Outdoor map navigation available also in Turkish! Thanks to all Turkish translators who participated in our crowdsourced translation project! Locus Map is now available in 26 languages. Enjoy your early spring hikes and bike rides with new Locus! Since Android N (Android 7.1?) it shall be possible to access raw GNSS measurements from smartphones. With raw GNSS data you can derive very precise positioning information from a smartphone (https://goo.gl/gYXTFf). Does Locus 3.30 already use this new option? Hi, Locus Map does not use this technology. It’s suitable rather for some post-processing appliances, not for a hike-bike app. The new additional icons mentioned in your post, i.e. Losuc (Tracks) are in fact not available in the app. There are only two sets, i.e. Locus (Points) and Garmin in the “Select Icon” screen. The icon enrichment considers Locus activities, tracks, routes – not points. When you create new or edit an existing track/route folder, there is no Locus (points) set, just Locus (tracks) – and this one is enlarged and there are many new icons added. New version (3.30.0) rounds miles on navigation distance and top left info panel (set to “track recording”) to the nearest mile rather than nearest 0.1 miles as previous. This is not good at all, especially for use in hiking. Any way to get the distance shown again to the nearest tenth of a mile? Or to revert to the previous version? Hi, we’re not sure if we understand. Please contact us at help.locusmap.eu and add screenshot of your issue. Thank you. Leider sind die zusätzlichen Symbole / Icons in der Aktualisierung nicht enthalten! Hi, what symbols or icons do you miss? Vyskusane na samsung galaxy s7 a stale nefunguje, mam gps poziciu, dam zaznam trasy, vypnem display a nic sa nezaznamena. Pomaha len kompletne vypnutie samsung setrenia, co nie je optimalne. Nefunguje ani na mojom Oneplus 3. Vypadáva náhodne, niekedy záznam vydrží 1 hodinu, inokedy “zomrie” po minúte. Optimalizácia batérie vypnutá pre aplikáciu Locus Pro. A čo tak pridať kočíkovanie ku športom? Kočárkování není mezi aktivitami, ale ikonu kočárku najdete v symbolech pro označení složky tras.